Set over four floors between the vibrant areas of Shoreditch and Hoxton – arguably the creative heart of London – TT Studios at 17A Kingsland Road boast beautiful brick-walled, wooden floored interiors with an industrial feel that reflect the character of the neighbourhood. The West Wing consists of our two largest rooms, Studio 2 and Studio 5 (The Lounge) each providing 50sqm of open, flexible, space with an ex-industrial aesthetic. The Aviation Room is our mid-sized room, at 34sqm – and has an ex-industrial aesthetic in keeping with the rest of the building and the Shoreditch locale. Virtually square in proportions Studio 3 is an adaptable space. 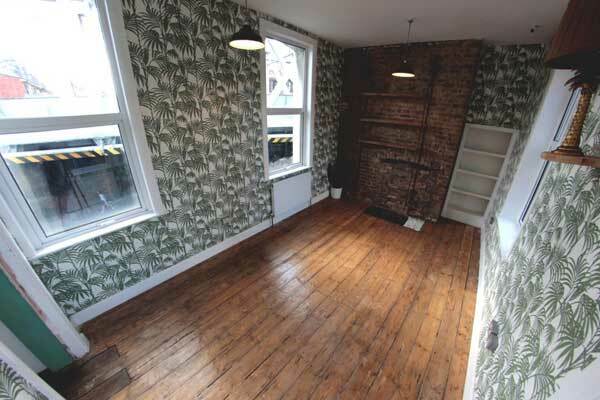 The Palm Room is our smallest room hire, at 16sqm – but still boasts high ceilings and excellent natural light. Its size makes it ideal for a small meeting space, temporary office or pop-up showroom. Ideal for advertising or showcasing your brand in Shoreditch. From window-only to full shop front, please get in touch with your ideas. 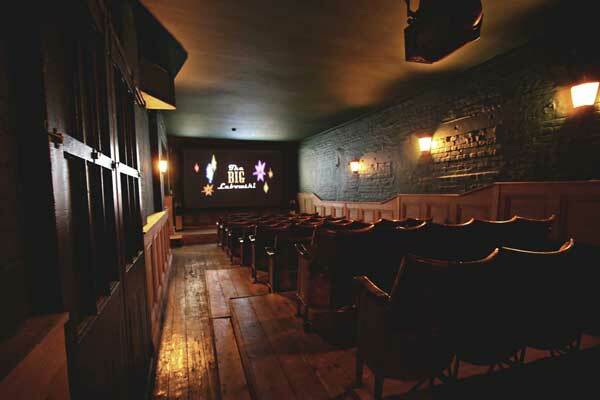 You can now hire our 52-seater cinema room, ideal for video premieres or private parties. We can also arrange any licensing needs for your event. 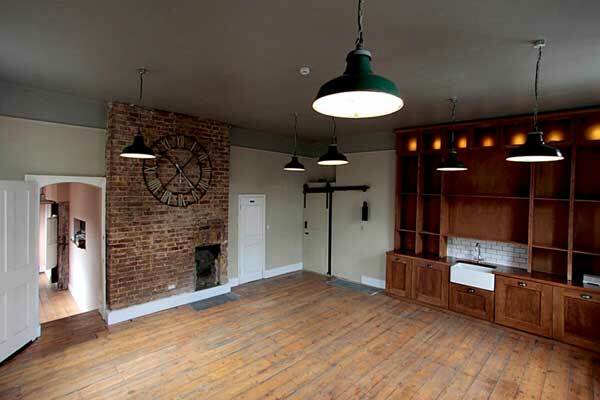 Our fully-equipped kitchen is located on the first floor of our multi-faceted venue in Shoreditch, suitable for anything from small-scale food production to full-blown supper clubs. 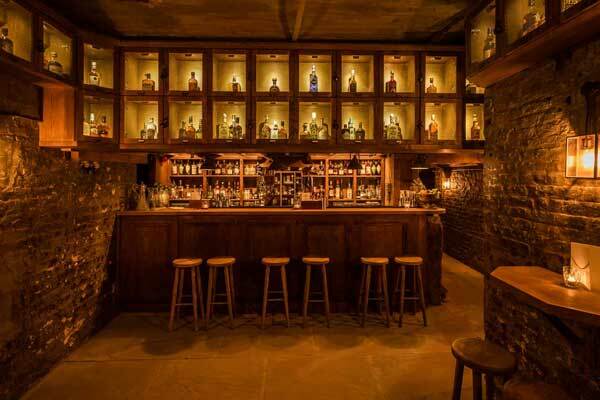 Understated yet entirely memorable, our subterranean Cellar Bar is an adaptable bar hire venue, suited to a wide variety of applications. 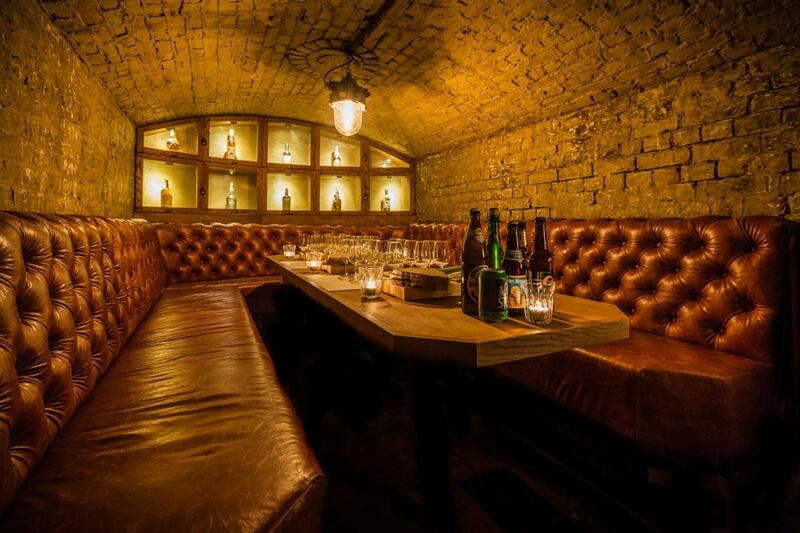 When it comes to meeting spaces to hire in London, there are a wide variety of options of all shapes and sizes – but have you ever taken one underground? 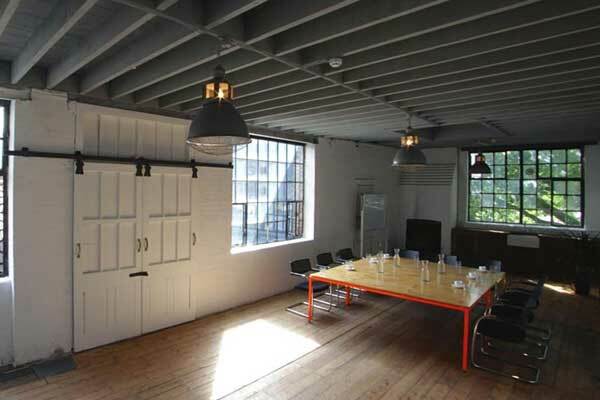 TT Studios are able to host a large variety of events, offering a number of rooms for short-term rental. These range from a generous 50sqm open studio to a quaint 16sqm room, all of which benefit from high ceilings, historical features and excellent natural light. 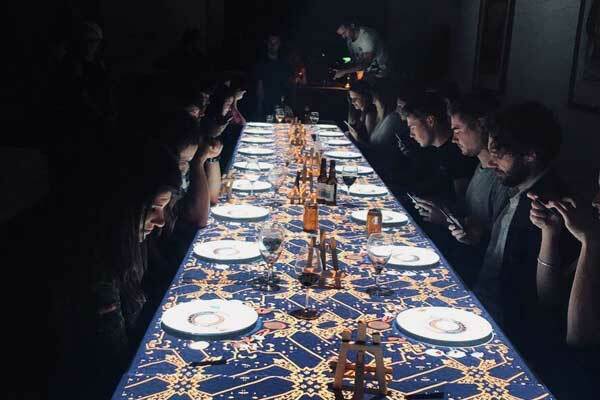 The rooms are flexible in nature and appropriate to a large number of uses, such as product launches, social events, meeting rooms, pop-up showrooms or galleries, artist / photography studios and temporary offices. 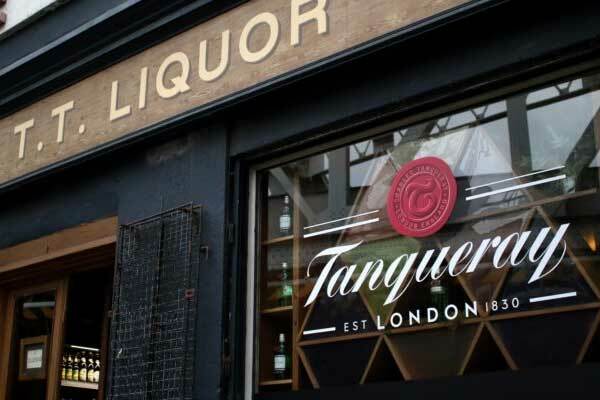 Conveniently located between Hoxton and Shoreditch High Street – both within 0.3 miles, the building is also easily accessible from Old Street and Liverpool Street Stations. 17A Kingsland Road has a rich and varied history – in the 19th century Shoreditch Police Station occupied the site, and a number of unique features of the building’s original use remain – such as a tunnel that runs from the basement straight to Old Street Police Station and old brick vaulted prison cells in the basement.